Some 57,000 refugees are living in Greece, and most of them aren’t happy about it.They were fleeing wars in Syria and elsewhere, on their way to other European countries. The border closed in March, and they were stranded. 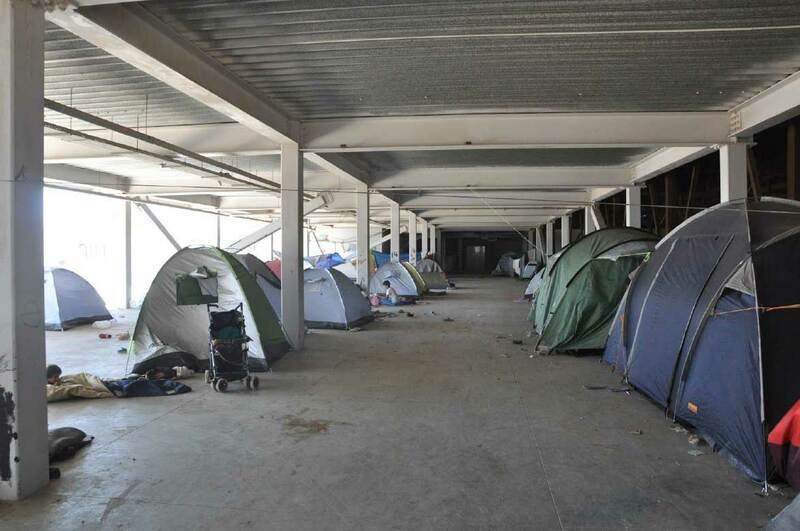 The majority now live in more than 40 camps scattered around Greece, in a crazy variety of places. 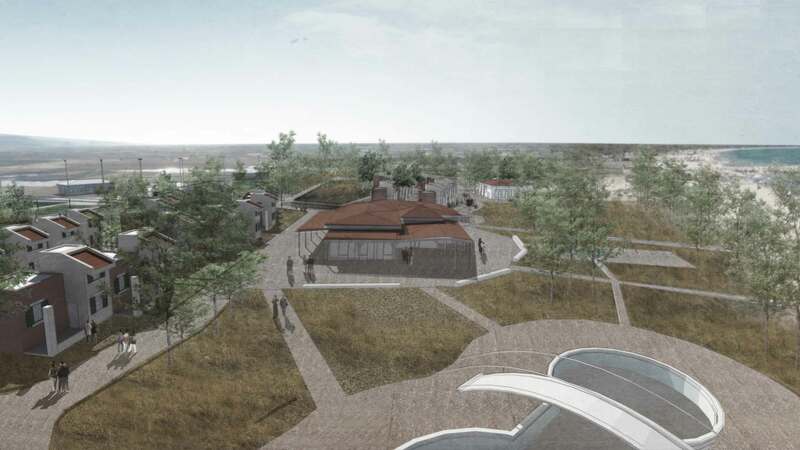 A team from This American Life visited, and sent a group of architects and engineers to capture each camp in the architectural renderings that follow. Take a tour to see how people live on the third base line and what others do to deal with the wild boars that roam around at night. 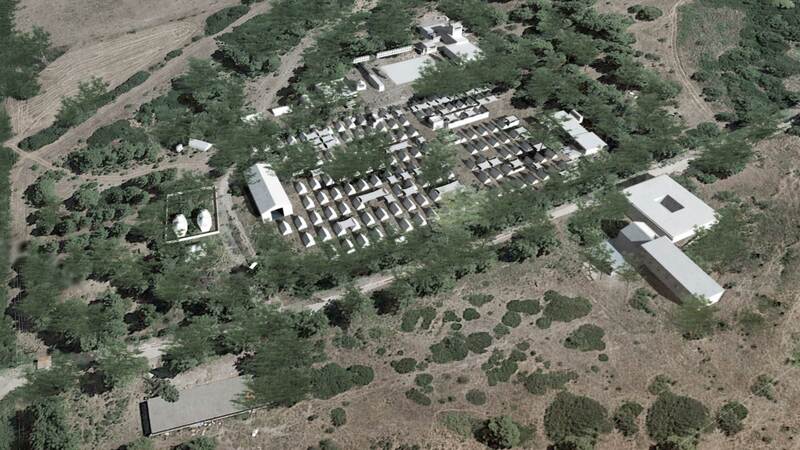 Ritsona is a camp of about 700 people, located on an old air force base in central Greece. One of the first things you notice when you walk into the camp are all the things that don’t look official, all the little ad hoc ways people have begun to make their spaces their own. When a volunteer delivered a pile of old shipping pallets to the camp, for example, the wood was scavenged to build tables and chairs, and tree houses and children’s forts. This is Raghda showing off her family’s tent. They decked out their living space with raised beds, a nightstand, storage space, and a small, fenced-in courtyard. They built tables and chairs and a pantry. 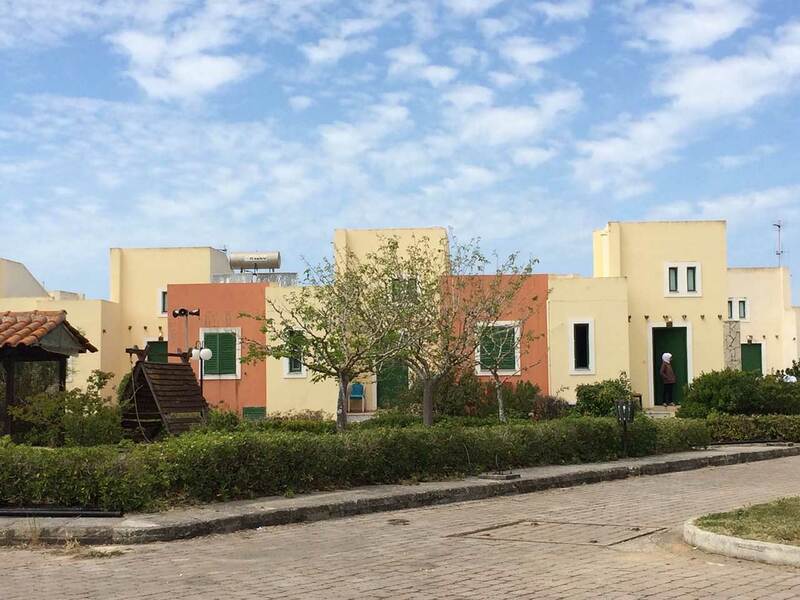 Our interpreter Baraa said it reminded her of Harry Potter and the tents at the Quidditch World Cup, which look normal from the outside, but inside have huge living rooms, dining rooms, and kitchens. Can I Borrow Your Tree Charger? People here can wait several hours just to charge their phones. 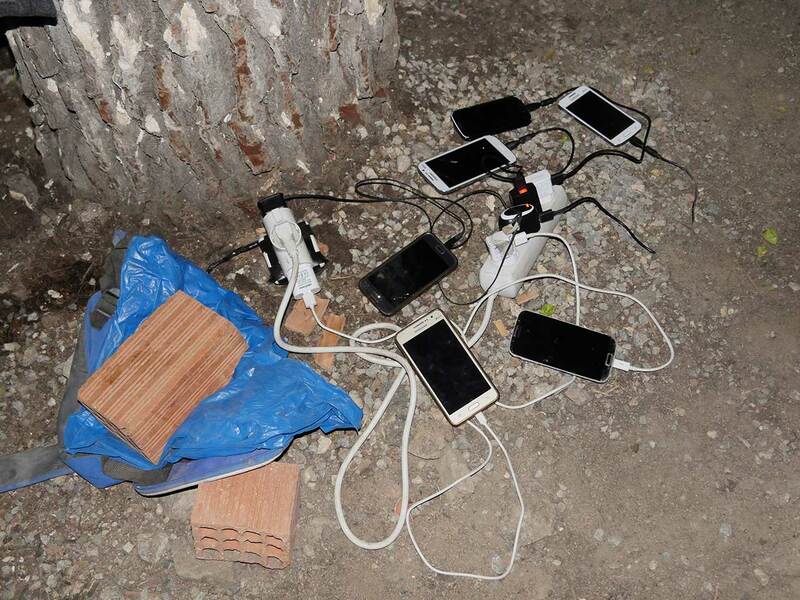 In one corner of the camp, someone buried a long extension cord and brought it above ground at the base of a tree to create a more convenient charging station. The camp feels like it’s teeming with little kids running around playing. Volunteers have set up a few activities and a school with very basic lessons. Mimi noticed that “they come even twenty minutes earlier before the lesson starts, and they are waiting at the door.” Ira watched a “field trip” where kids were marched single file with backpacks to the other side of the camp to visit the women-only space. The men spend a lot of time playing soccer on an old helicopter landing pad. 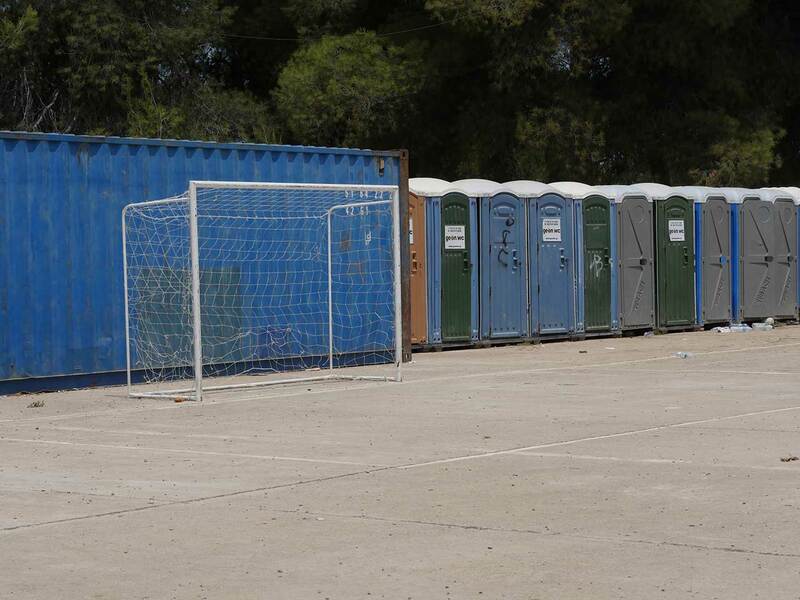 The problem, though, is that the field is in front of a row of porta-potties, which several women said made simply going to the bathroom, well, just awkward for them. 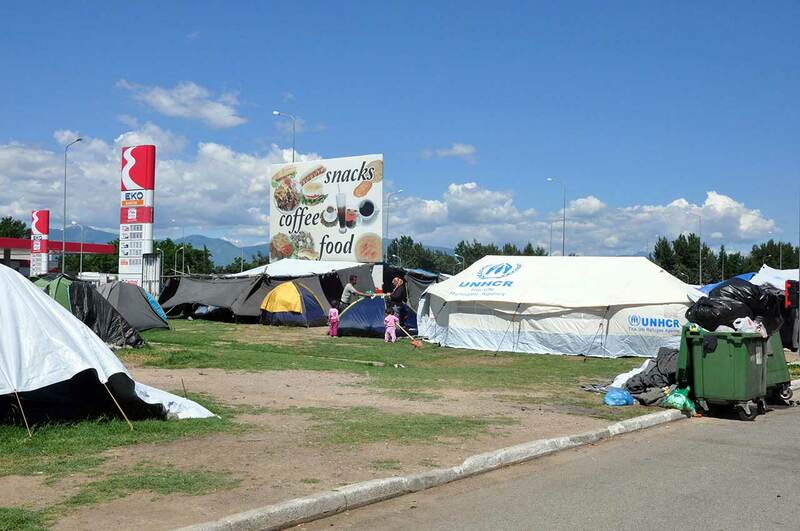 This camp, about 13 miles from the border with Macedonia, was at an EKO gas station. Before the borders closed, buses full of refugees would stop here and wait to cross. After the borders closed, people just stayed. 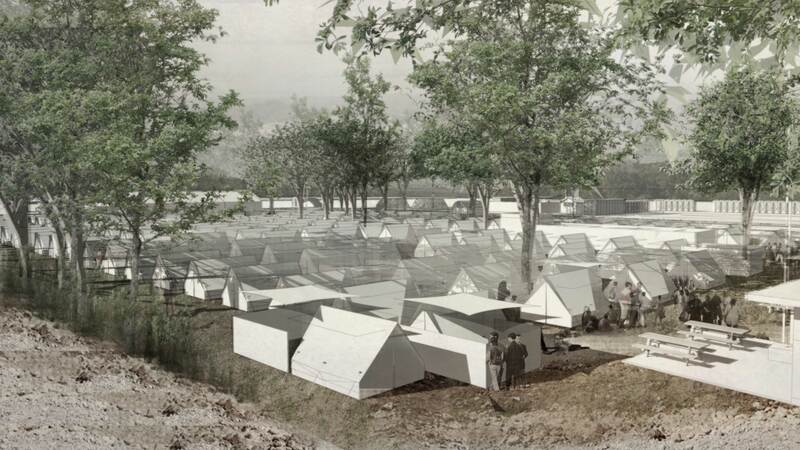 Approximately 2,000 people lived in tents on the rest stop grounds. Another thousand joined after the government dismantled an even larger informal camp nearby in Idomeni. One week after our visit to EKO, the government shut down this camp, too. 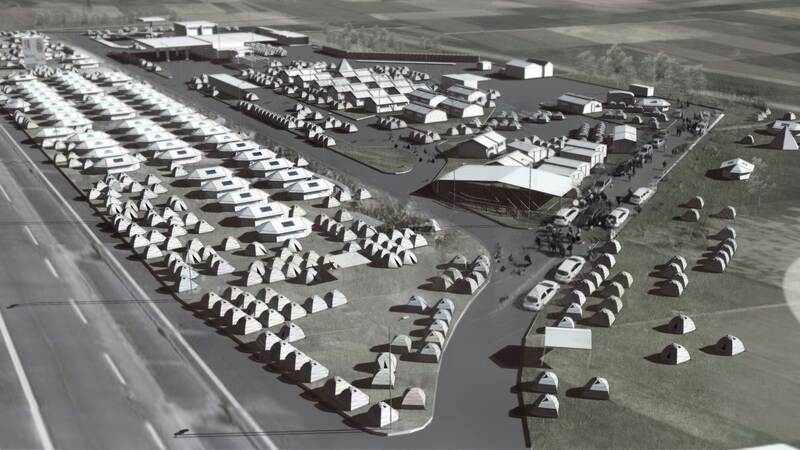 Unlike the military-run camps, the layout at EKO was somewhat chaotic. 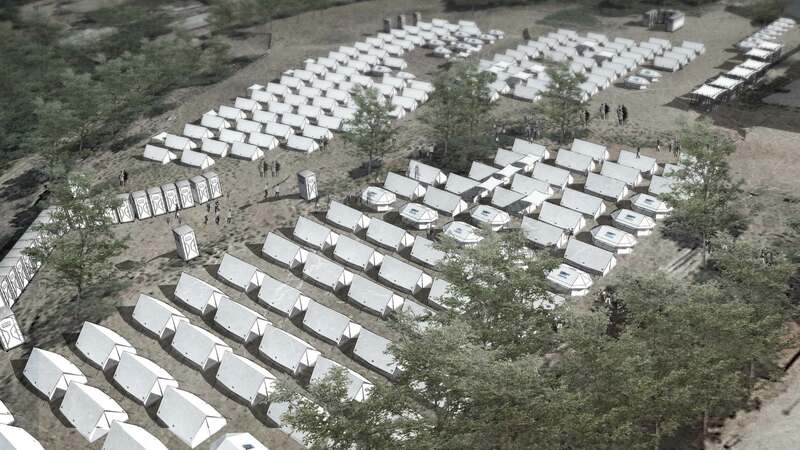 Tents were clustered together, pitched on grass or concrete. 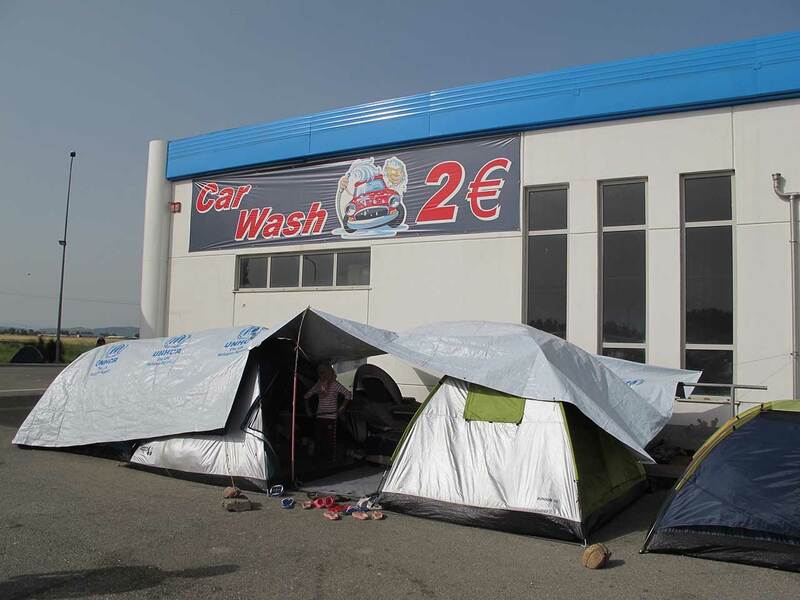 A few people even set up camp outside—and inside—the car wash. Even though this camp wasn’t sanctioned by the government, groups of volunteers and NGOs showed up at EKO, providing meals and services. The woman who managed the convenience store said that some of the refugees bought groceries from her. 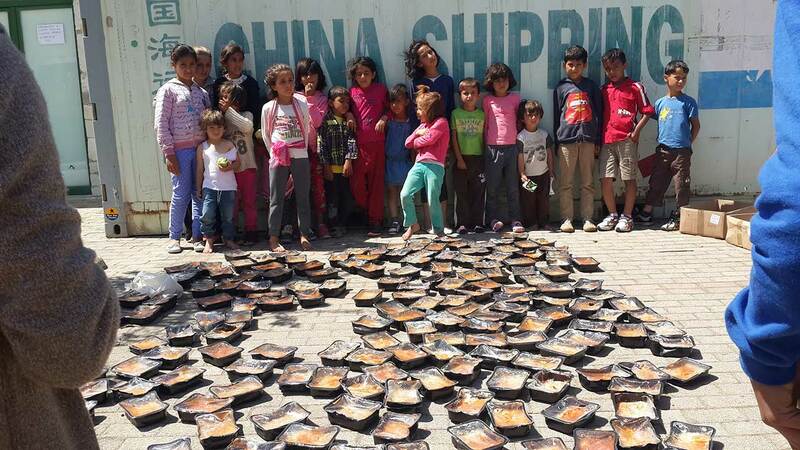 Others bought bread and vegetables from their fellow refugees. According to the UNHCR, there were more than 200 charging stations available at EKO, which was a lot better than some camps, but when we visited, there were only 10 to 15 portable showers. A refugee was signing people up for a few additional showers inside the rest stop that had hot water. Those showers cost two euros for 15 minutes. 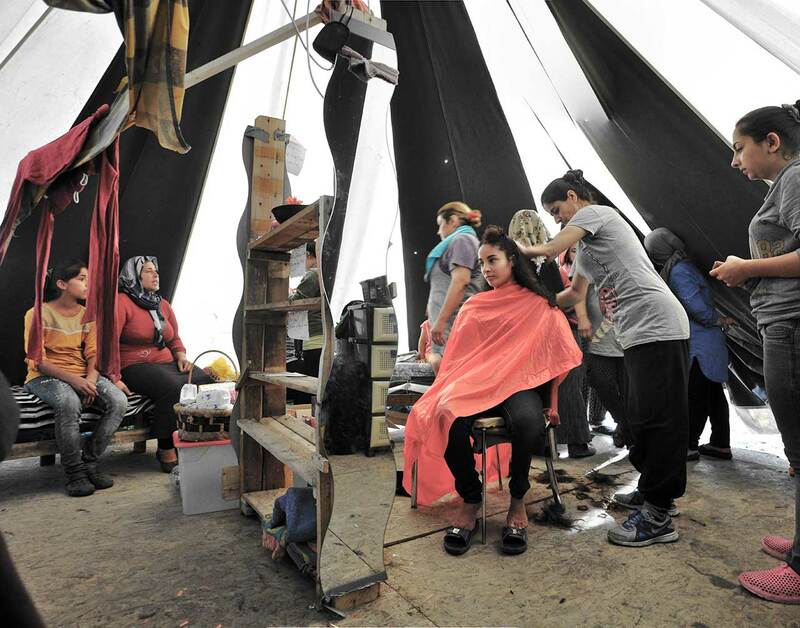 EKO, like many of the refugee camps, had a space just for women. This one was started by an Italian volunteer, and was open daily from 4 p.m. to 8 p.m., except Sundays. It was a hair and makeup salon, a yoga studio, and a place where they could just be on their own. Women came from other camps in the area to use it, too. Back in 2004, this baseball stadium in southern Athens was the site of the Cuba versus Australia Olympic gold medal game. 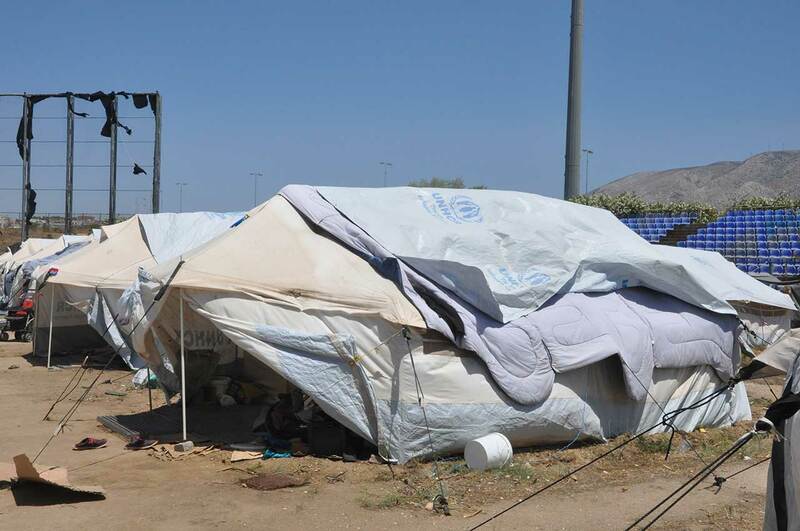 In June, it was home to about 1,000 Afghans living in 150 tents. The two rows of tents along the third baseline are designated for single men who live six to a tent. 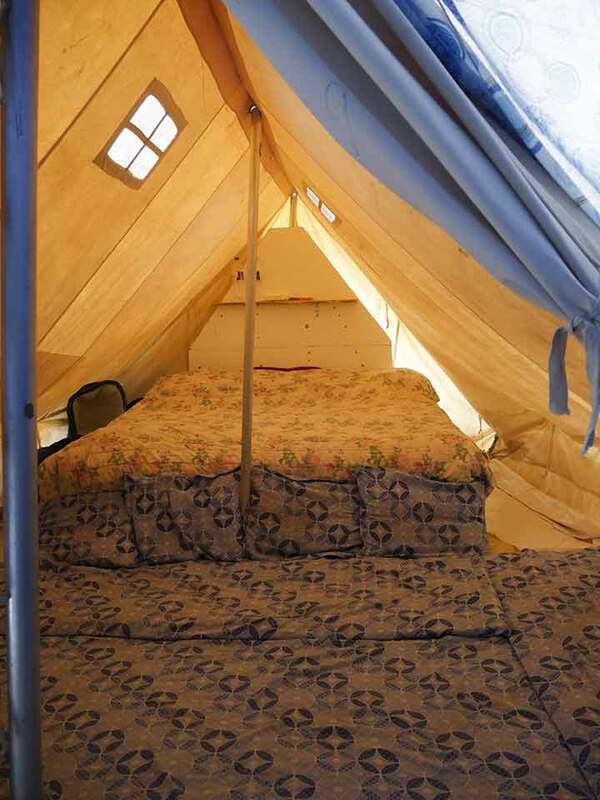 The rest of the tents are for families. 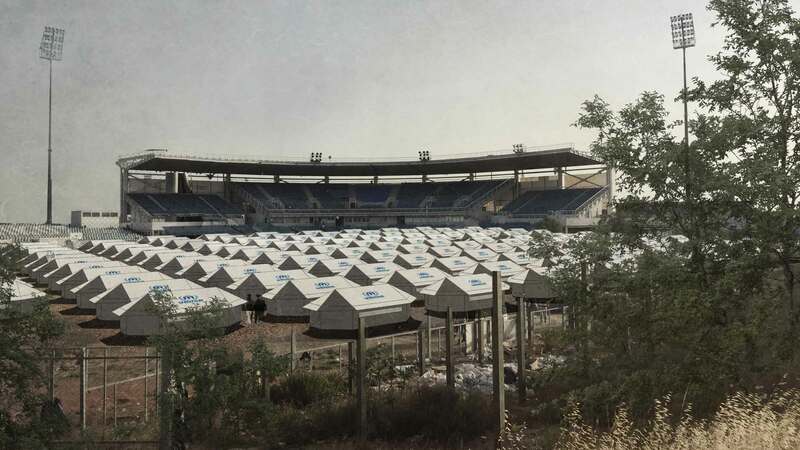 The heat was already unbearable in June—temperatures often reach into the 90s during the summer—and the tents were completely exposed on the field. Camp managers were experimenting with different kinds of covers to shade the tents to keep them cool. So far, though, they hadn’t found a solution that worked. People are taking matters into their own hands, setting up camping tents in the concourse or, here, in the shade beneath the stadium seats. 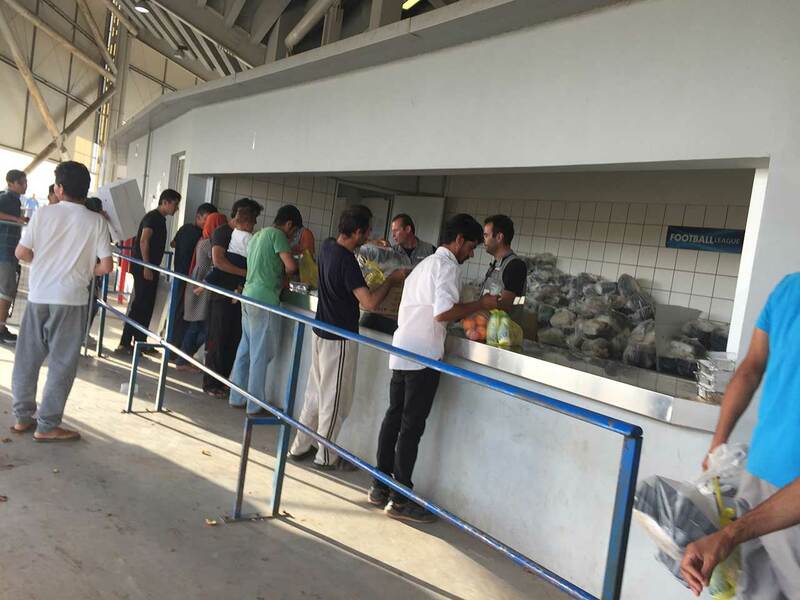 Refugees pray in the shade provided by the grandstand; the home and visitor locker rooms serve as men’s and women’s bathrooms; women do laundry in the open showers, which keep flooding; the press box serves as the camp manager’s office; and workers distribute food from the concession stand. This is just one of the camps at the Olympic facility. 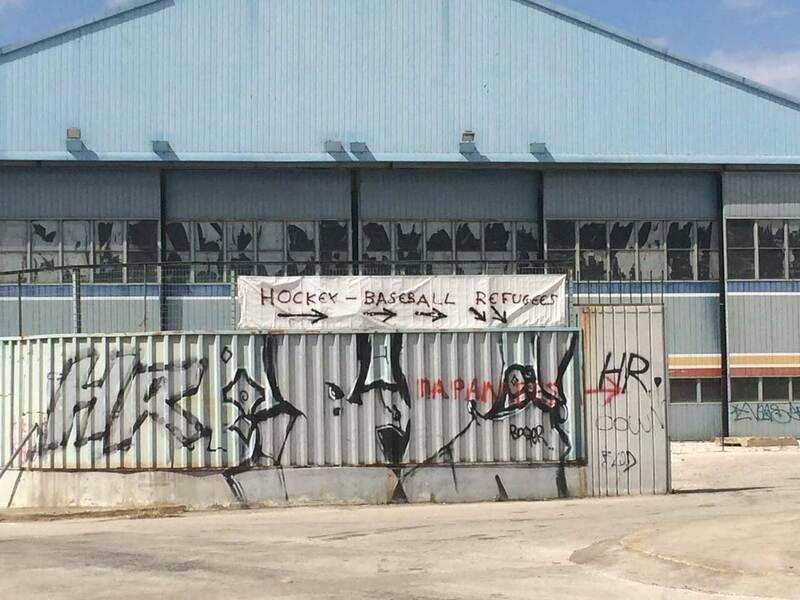 Refugees also live at the field hockey stadium next door and in a now-defunct international airport nearby. The Greek government —in a deal to secure bailout money—recently sold the complex to developers planning to build luxury housing. The people here will soon relocate to other places with better conditions. 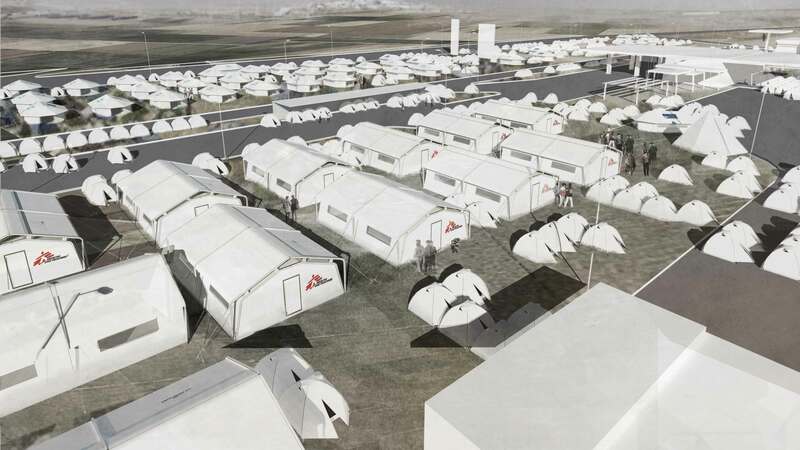 The camp is made up of Yazidis—members of a religious minority in Iraq who fled ISIS control. 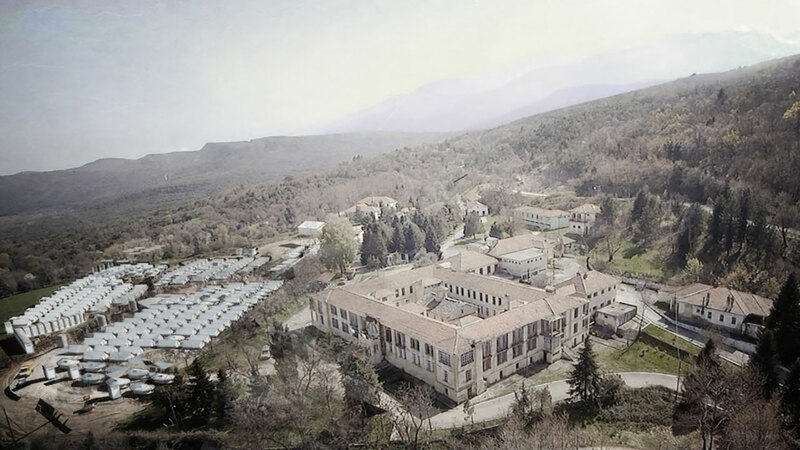 Roughly 1,300 of them live on the grounds of this old psychiatric hospital in northern Greece. The landscape here at this camp—called Petra Olympou — is striking: a thick forest with Mount Olympus looming in the background. The closest big town is about 16 miles away. Many of the Yazidis are doing the jobs they had back home in Iraq. 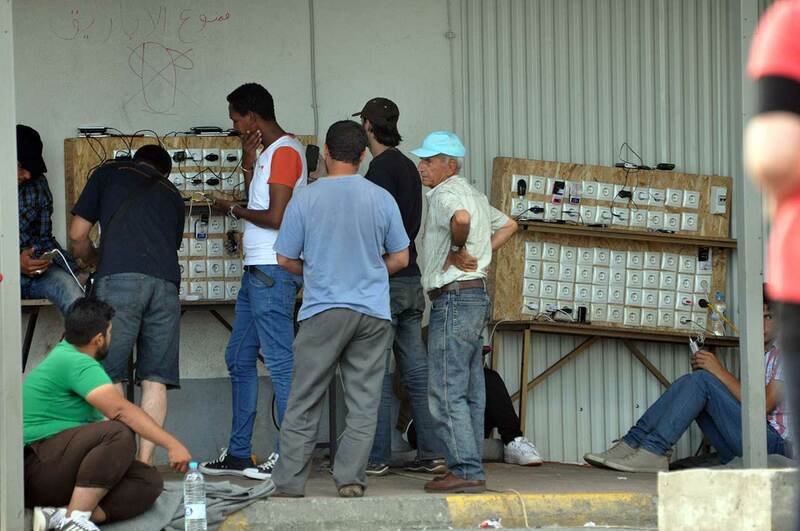 Barbers set up shop beside an electrical outlet on the outside of the hospital. Haircuts will run you two euros; eyebrow and beard threading one. People here scavenge the hospital and grounds for whatever materials might be useful, including metal drums that bakers encased in mud and turned into ovens. Five pieces of bread go for one euro. One of the architects described Petra as a “giant playground.” Roughly half of the people are kids—and they need something to do. 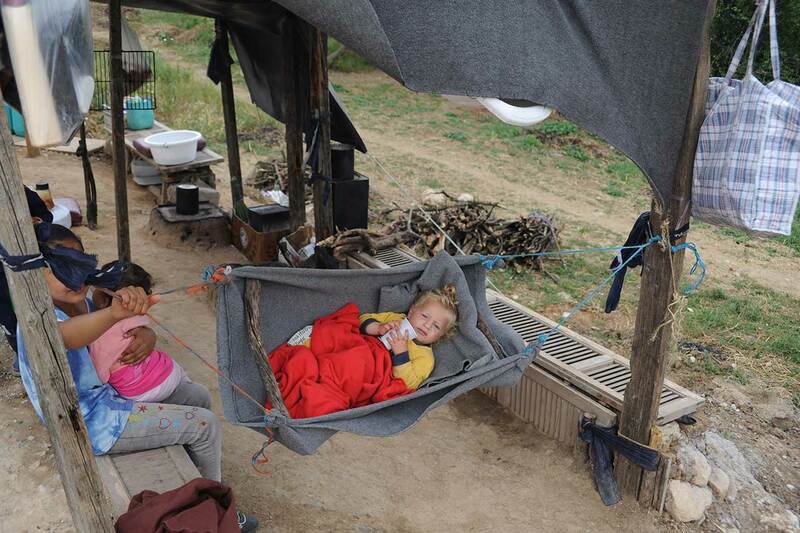 For the smallest ones, parents have made swings and hammocks out of blankets, branches, and ropes. The older kids mostly spent their time hanging out at the charging station. 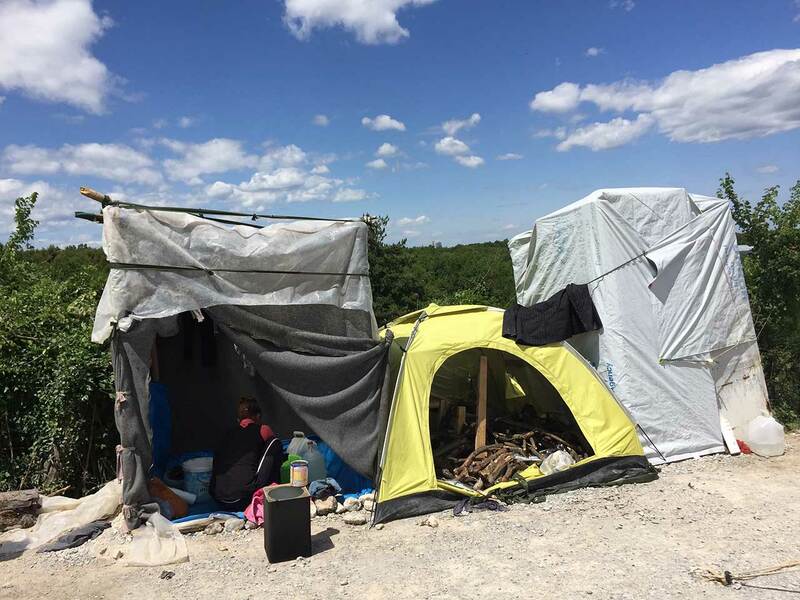 There aren’t enough showers, and the lines are so long that people built makeshift showers out of a wooden frame, blankets, and waterproof UNHCR tarps (see the structures to the left and right of the yellow tent). They heat up water on open fires to take in with them. 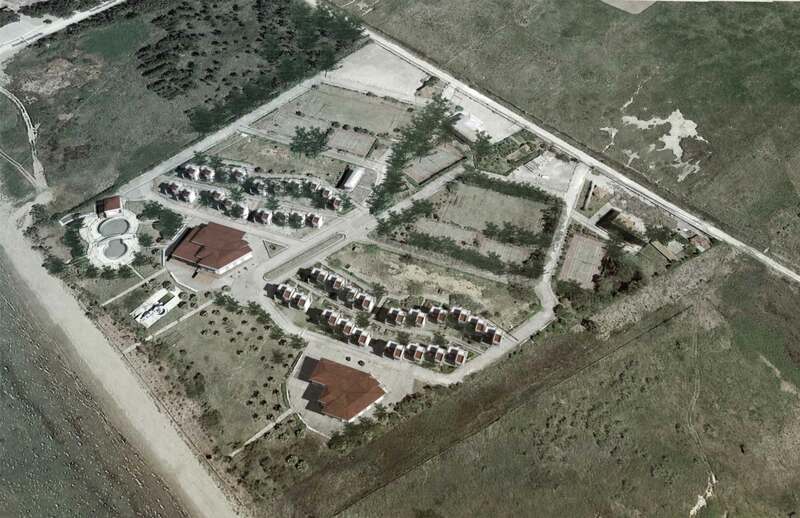 Probably the nicest camp for refugees in Greece is LM Village. 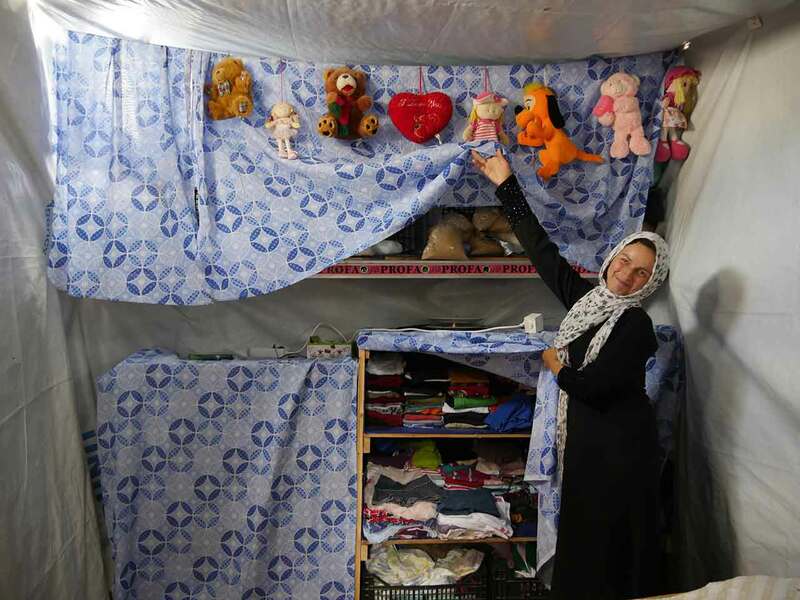 Here, 340 Syrians and a few Iraqis live in homes with electricity, kitchenettes, and working bathrooms. There’s a playground and a trampoline, a tennis court, and secluded beach. 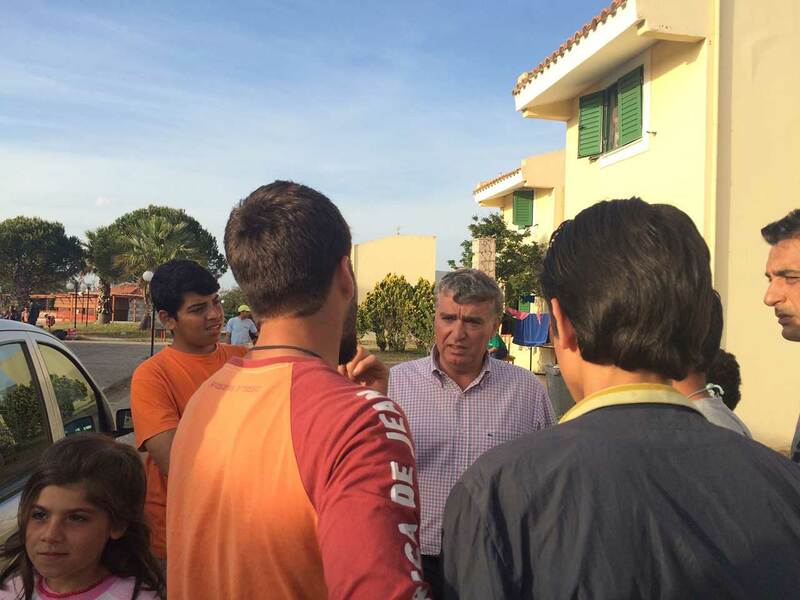 In March, Nabil Morant, the Syrian-born mayor of a group of towns along the Ionian Sea, got approval to use an abandoned beach resort to house Syrian families who’d been living in tents at a ferry terminal in Athens. 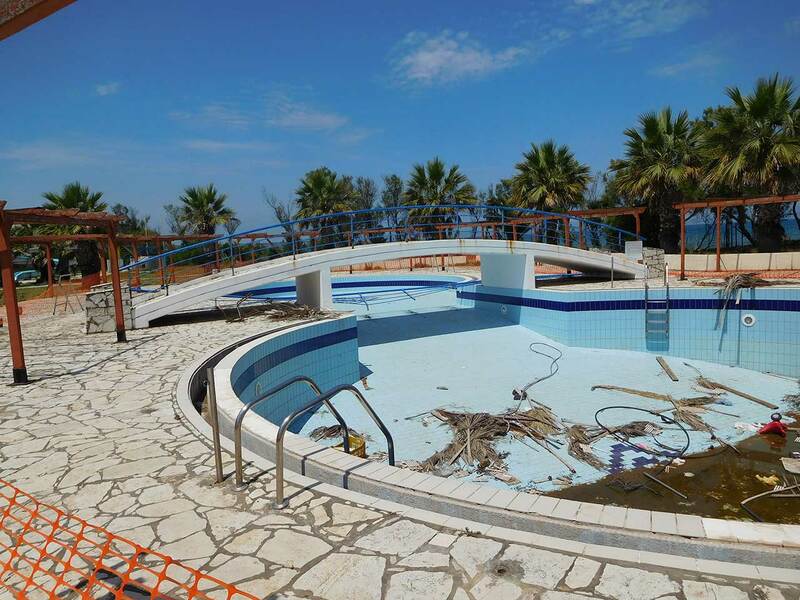 The resort was originally used as subsidized vacation rentals for middle-class Greek families. It closed during the financial crisis and since then has been empty and slowly falling apart. 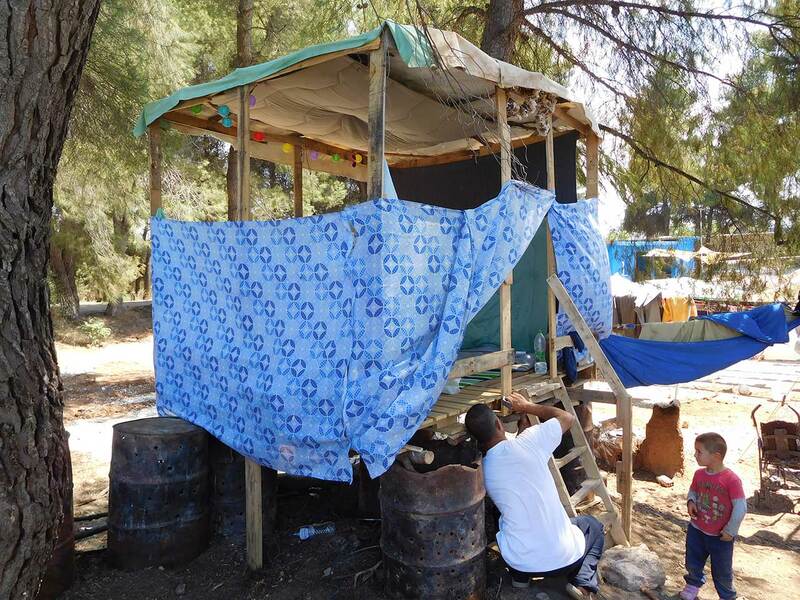 The Syrians living here don’t have to worry about contending with wild boars or keeping their tents dry in the rain, but they share many of the same worries as refugees throughout Greece: How do they apply for asylum? How do they get money for food? How long will they be stuck here? When Joanna and Robyn were there, Nabil, the mayor (center), was the only Arabic speaker the refugees could ask. 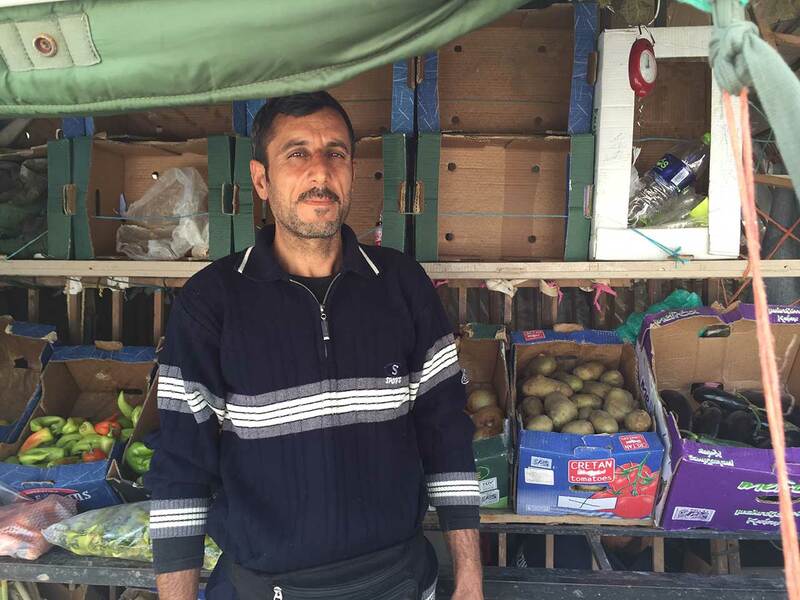 Some of the refugees get money wired to them and are able to buy food from local markets. 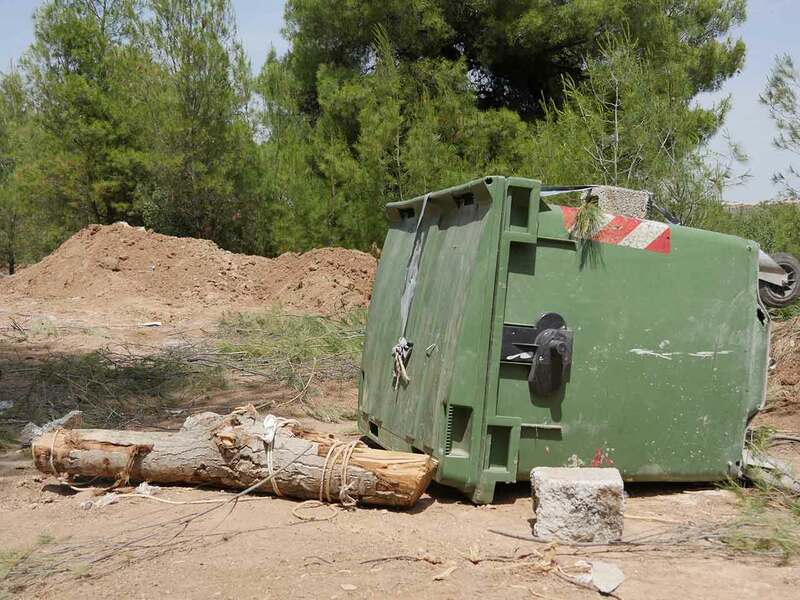 Others rely on the prepackaged meals provided by the Greek army. Among the top complaints here: the food. People hate it so much that there are conspiracy theories that the government is giving them spoiled food. Ahmad Berajekly, who was at the village with his family, shared this photo with Robyn of an earlier protest. The beach, the houses, the running water … none of it solves the real problem, which is that the 57,000 refugees stuck in Greece don’t want to be there. Most of them can’t work, and even if they could, there aren’t jobs. Many are grateful for the help they’ve received, but they’re also frustrated. 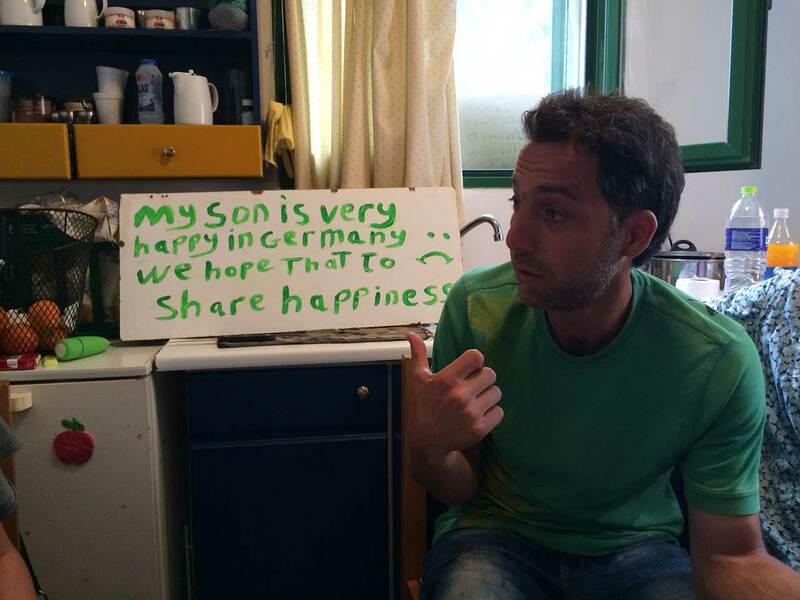 Ahmad made two signs to explain his competing feelings about being in Greece. 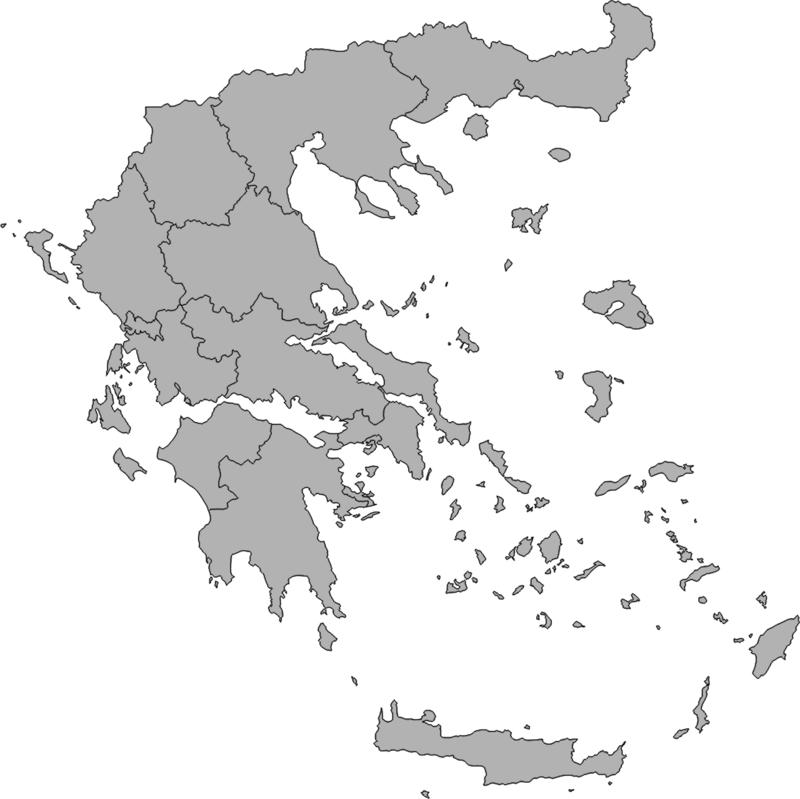 When he feels hopeful, he puts a sign in the window that reads: “Thanks for Greece.” When he feels stuck, he switches it to this one. Sometimes he puts up both. Correction: An earlier version misspelled a man’s first name. It’s Haider, not Hyder.